Anyway, if you're on the road or the plane or the pogostick, you're going to need to keep your energy up. So here's a bunch of bite-sized gaming stories to tide you over until you can get to Portillo's. Today on the platter we have: Higher Grounds is Gearing Up for their Dhovaine Kickstarter, Privateer Press Bringing Nemo Bust To Adepticon, Killbox Games Running Frazetta Miniatures Kickstarter, Reichguard Knights Medieval Miniatures On Kickstarter, Early Imperial Roman Legionaries Available From Victrix, Hannibal & Hamilcar Coming To Kickstarter Next Month, Treasure Island reached Full Captain Kickstarter News, Dark Art Miniatures Releases British Motor Platoon Passenger Trays, Khurasan releases Southeast Asian baggage elephants, Win A Copy of the Outlands Rulebook, Casual Game Revolution Posts Top 5 Takeaways from GAMA Trade Show 2017, The Third Law: Kickstarter date confirmed, Acheson Creations Releases Megatherium (Giant Sloth), Weapon Platform Weapons Now Available Separately from Kromlech, The Iron Crows and other Dwarves of Kazhuk Izril, and Final Days For Dinosaur Island on Kickstarter. With the strong, desert winds, Las Vegas can be a rather dusty place. Well, next week at the GAMA Trade Show, it's going to be just a little bit more dusty. That's because Dust is going to be there, partnered up with Ninja Division. This is the start of a new beginning for the world of Dust. Indiana legislature has passed the SB101 bill that critics say will allow businesses to deny people service based on religious grounds. 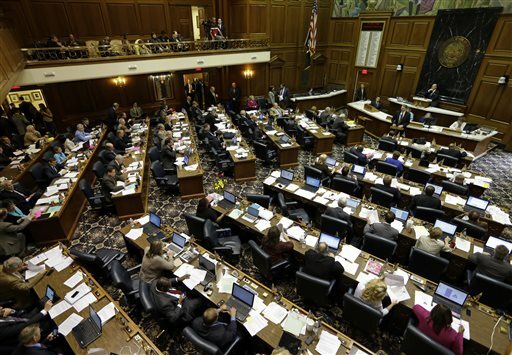 There have been many that are critical of the bill, most importantly for gamers, Gen Con LLC sent a letter to governor Pence, saying that the company may reconsider having their annual convention in Indianapolis if the bill passed. So now it's a waiting game to see how the replies to the passage of the law will be. Update: GAMA has shown their support for Gen Con LLC's concern over the issue. Their release posted below. 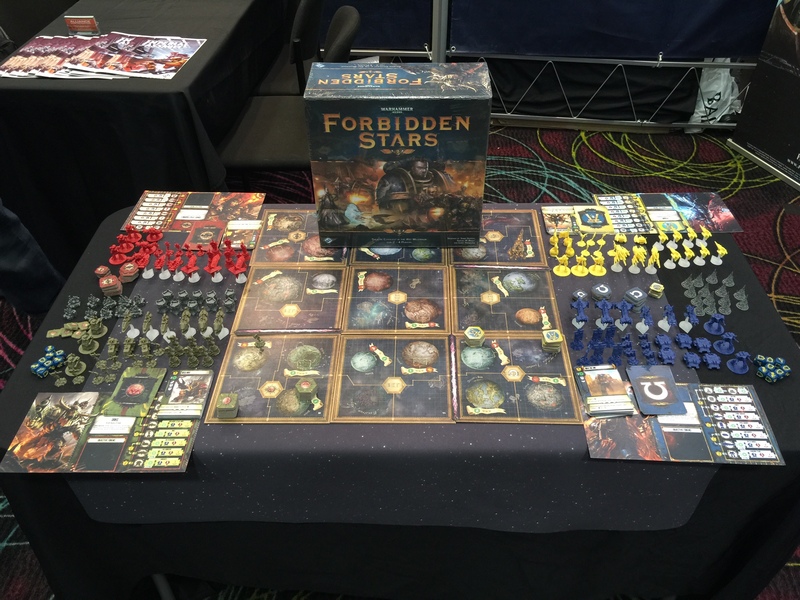 Fantasy Flight Games recently announced their new board game set in the Warhammer 40k universe, Forbidden Stars. Well, they had the game on display at GAMA during the week and our very own Jared Miller was able to grab some photos before he was whisked away to Chicago. Check them out below the break. More news from the GAMA Trade Show 2015. Steve Jackson Games announced the newest edition of Munchkin. 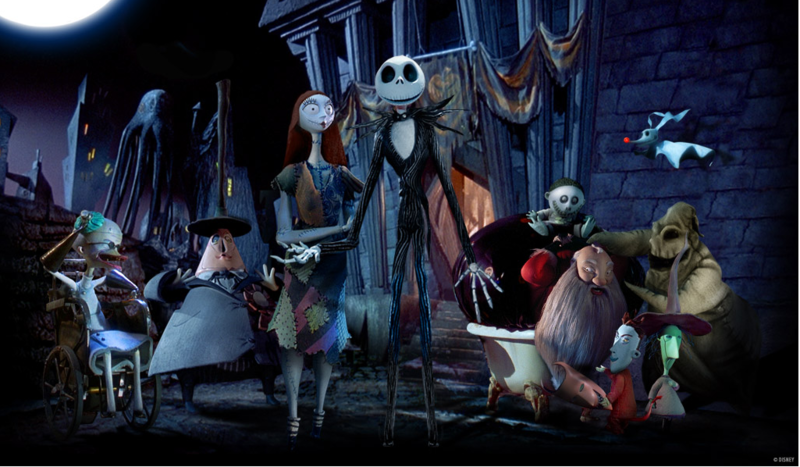 This time it's based on the popular Tim Burton film The Nightmare Before Christmas! Not much else was revealed about the game, but I'm sure you can expect Jack Skellington and the rest of the Halloween Town crew to fit right in with the rest of the Munchkin titles already out there. The game is slated for launch in October 2015, so you don't have to wait too long. I feel it's more of a Christmas release, or at least that's when I enjoy watching the movie the most (right alongside Die Hard.) What do you think? Flying Frog Productions continues their history of new game announcements at GAMA this year with the reveal of Dark Gothic: Colonial Horror. This game is a stand alone expansion for last year's deck building game set in the A Touch of Evil universe. 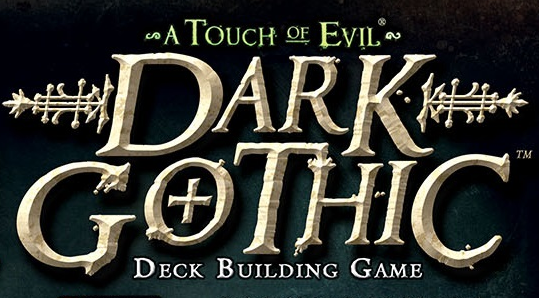 Players who own the original Dark Gothic can expect to add brand new Heroes, Villains, and other cards to the set. Meanwhile, players who don't own the original can still enjoy Colonial Horror but at a reduced player count of two to three. 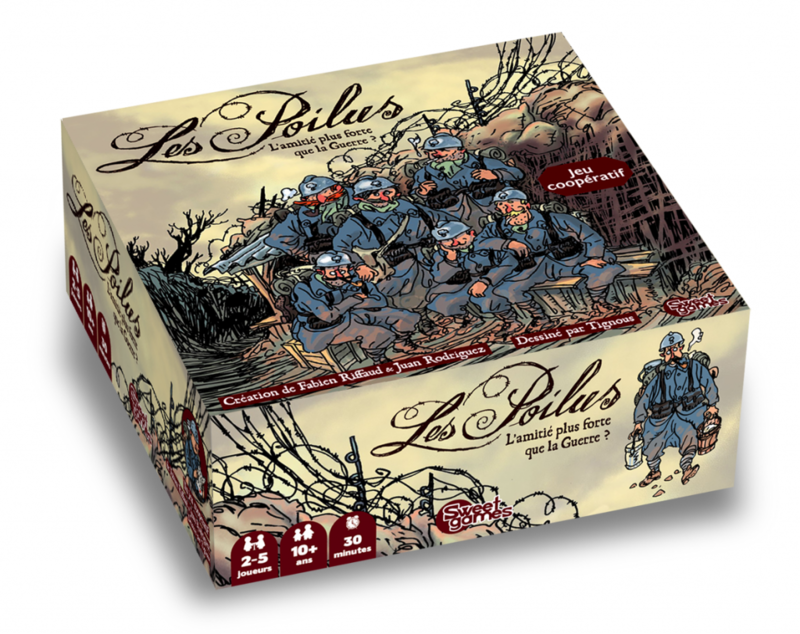 Announced at the GAMA Trade Show, the French game Les Poilus (first release in France in February 2015) is receiving an English translation and release in America as The Grizzled thanks to Sweet Games and CoolMiniOrNot. Les Poilus was designed by Fabien Riffaud and Juan Rodriguez, with art by Tignous, who was a victim of the tragic Charlie Hebdo shooting in Paris, France. The Grizzled, whose tagline is "Can Friendship be stronger than War? 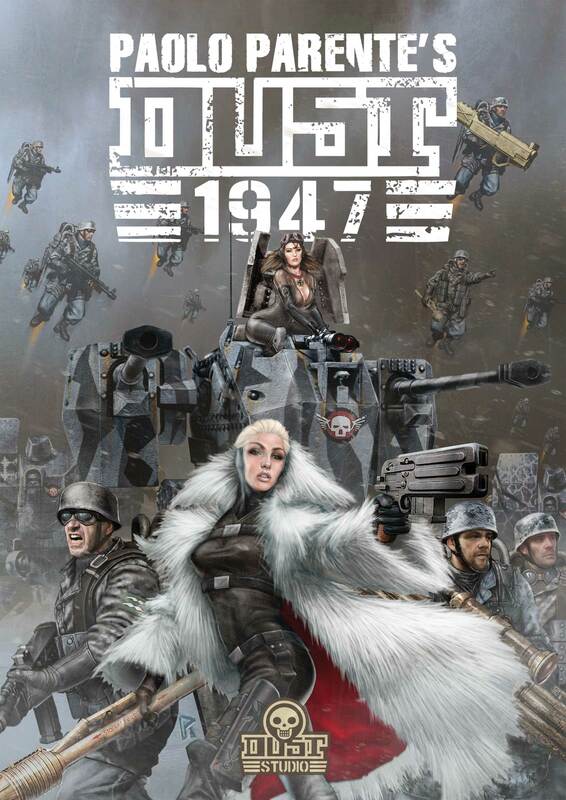 ", is a game of survival set in the trenches of World War I. Players must work together to survive the terrible conditions or everyone loses. 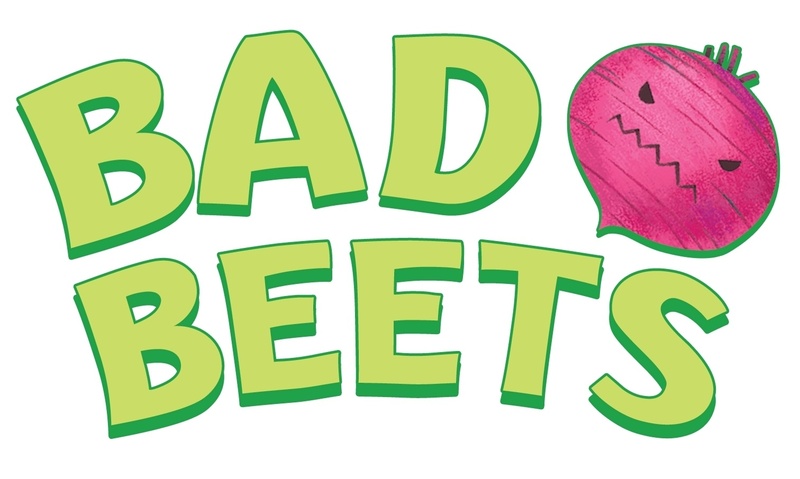 Today at the GAMA Trade Show 2015 in Las Vegas, Stone Blade Entertainment announced Bad Beets, its first physical release since the successful Ascension deck-building franchise. Whereas Ascension was very much targeted toward the established gamer, Bad Beets takes the approach of being a casual, family game designed for anyone and everyone to have fun with. Gateway games seem to be a popular trend among companies as of late (for good reason), and Stone Blade seems to have recognized the benefit of having an easy to access game for anyone to try. Gama Trade Show is this week in Vegas. Ares Games will be one of the many in attendance. 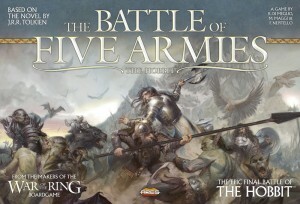 Ares Games will be present at GAMA Trade Show (March 17-21, in Las Vegas) with previews of its forthcoming titles expected to release this Summer: Battle of Five Armies, a new game in the War of the Ring Line, and Dino Race, a fun game for kids which will expand the Family Games line. 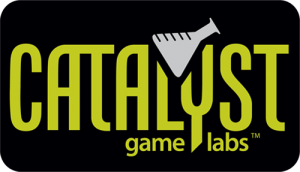 Catalyst Game Labs will be attending the GAMA Trade Show and PAX East next week. Will you be there? Catalyst Game Labs is attending the GAMA Trade Show, as well as for the first time Pax East! What does this mean for those not attending? It means that from March 19th till March 25th pretty much all personnel will be away from their normal communications (websites, emails, phones, you name it), including customer service. As such, if you’re trying to contact anyone at Catalyst, please be patient during that time. Additionally, the reality is that it will also take a few days after the 25th before we’re able to dig our way out from under a week’s worth of communications, so expect a few days more after that. We look forward to seeing everyone at these shows and for those unable to attend, thanks for your patience over the next two weeks…see you on the flip side! GAMA is going to have a Family Game Day over at the Center for Science and Industry (COSI) in Columbus, Ohio. GAMA will be hosting GAMA Family Game Days again this year in cooperation with the Center of Science and Industry (COSI) in Columbus, OH. The event will take place Saturday, December 1, 2012. COSI is expecting approximately 7,000 attendees! Mayfair Games is co-sponsoring the event again this year and we are very excited to have them as our partner for this great holiday event! GAMA, Mayfair Games and our awesome volunteers will be demonstrating games, holding raffles and having tons of fun! GAMA finished last Friday and had a great time at the show. I was able to walk around and meet with a bunch of different manufacturers about new games and projects. Hopefully you were following the photos from the show, if you did not here is a link. During the convention, I also interviewed different companies about their upcoming projects. Thank you for everyone who participated in the interviews, and there are a few more that I will upload this week. The next convention I will be at is PAX East. Let us know if there is anything you want to see! Thank you for all the feedback, and please keep it coming we want to work to make sure we can provide the best convention coverage possible. I am glad that people have been checking out all the GAMA coverage. 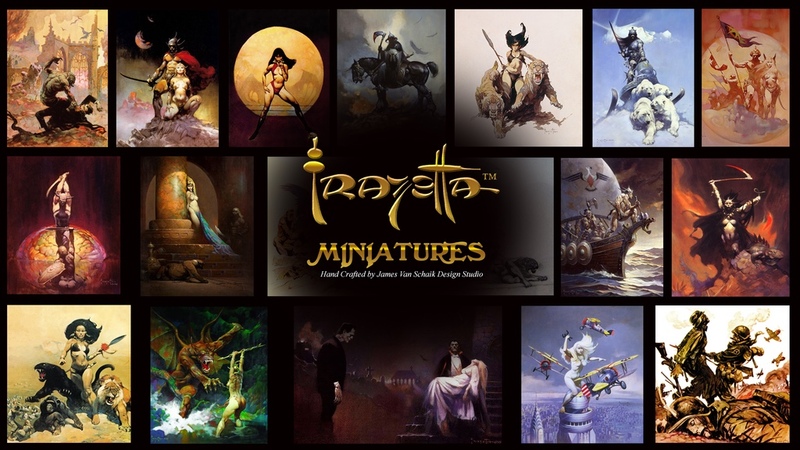 The videos and interviews over the next couple of days, which will go into much more depth about all the products that were previewed at the show including product lines like Wrath of Kings, Sedition Wars, Mage Wars, Last Night on Earth and many more. The images I took today are from booths that I missed yesterday, because there was so much to cover! There are not as many as the day before, as today was much more about interviews and meetings. I hope you all have enjoyed the initial leap with TGN Broadcast and there will be much more to come with coverage from the show. We will be travelling to a lot of conventions this season and have decided to launch TGN Broadcast! This portion of TGN will be a pro-active content provider with convention coverage, video interviews, exclusive content and much more. With an exciting convention season ahead of us, we are looking forward to TGN Broadcast. The first segment of TGN Broadcast is starting at GAMA, so look forward to updates from us! Here are some early pictures from the exhibitor hall. Living Dice have posted part ten and part eleven of their GAMA Trade Show 2011 Exhibitor Coverage. Living Dice have posted part 6 of their GAMA Trade Show 2011 Exhibitor Coverage. The Living Dice website have posted parts 4 and parts 5 of their GAMA Trade Show 2011 Exhibitor Coverage. Living Dice have posted part two and part three of their GAMA Trade Show 2011 Exhibitor Coverage. Trask at the Living Dice site has started his GTS 2011 coverage with his first article looking at the dealers and games available at the show. The Sentry Box Games Facebook page has a new gallery with photos from the GAMA Trade Show 2011 including some shots of the components for the new Ogre game as well as a what looks like a demo table for a CthulhuTech miniatures game.